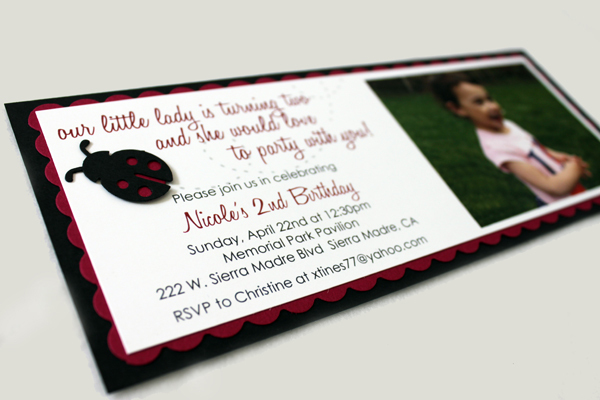 My friend Christine asked me to design her daughter Nicole's 2nd birthday party invitations. She said she wanted something adorable and fabulous. Christine's family is originally from Los Angeles, so Nicole will be having a lady bug themed party in LA and a bumble bee themed party in the bay area. Nicole is one lucky kid, double the presents! 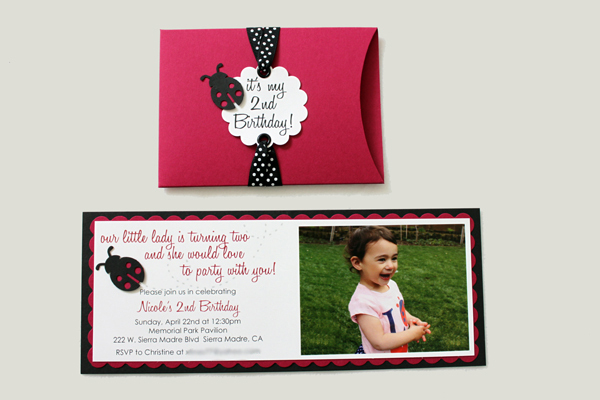 Thanks Christine for asking me to make Nicole’s birthday invitations. They came out so darn cute! 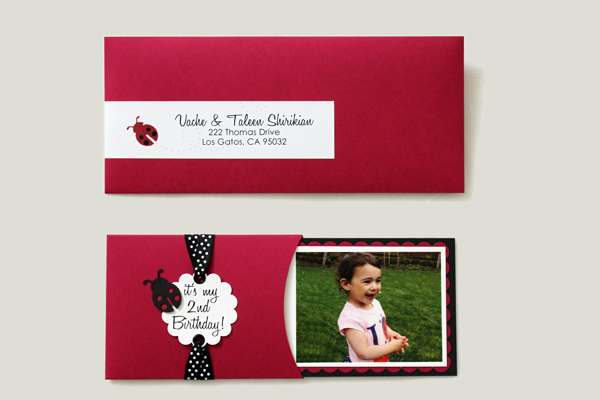 The design consisted of the main invitation inserted into a pocket card so that Nicole’s photo was peeking out the side. 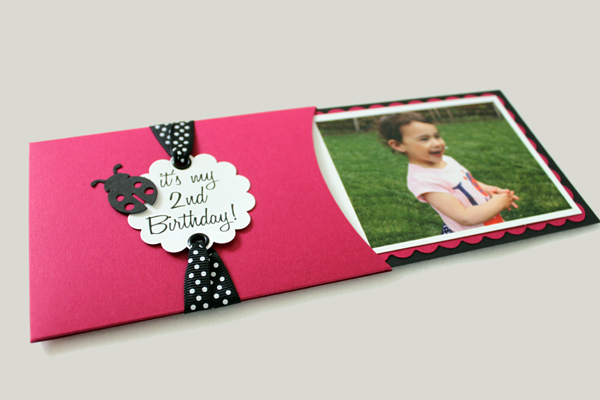 To create the tag on the outside of the pocket card I used a circle scalloped punch. I then applied eyelets to both the bottom and top and ran twine/ribbon through the holes and around the pocket card to keep the tag in place. 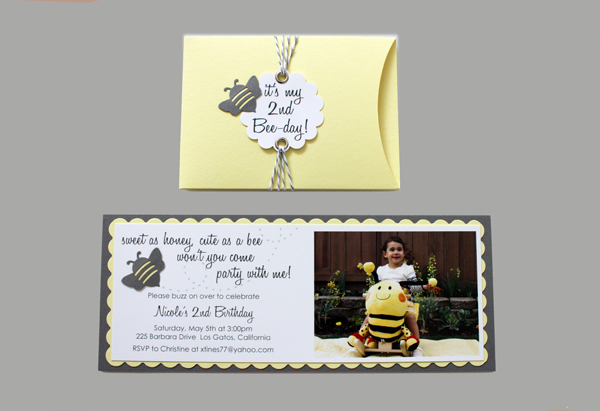 I used a bumble bee and lady bug punch to create embellishments to attach on the side of the tag. 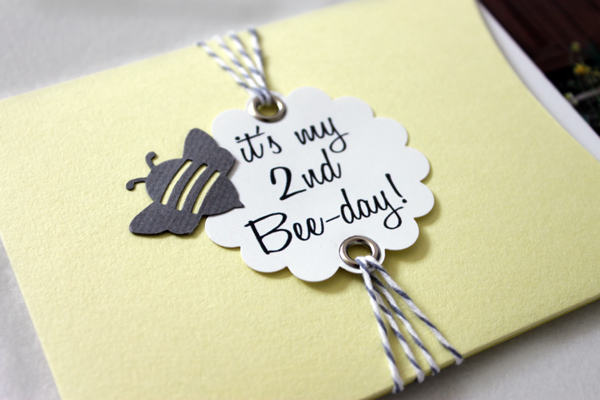 For the inside invitation portion, I used 2 layers of cardstock and then the invitation on top. 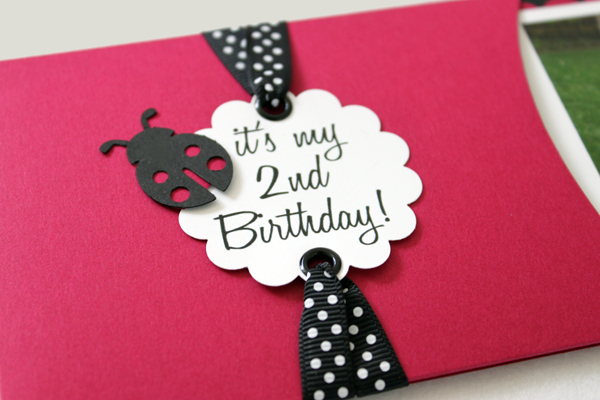 I used a punch to create the scalloped edges around the second layer of cardstock. 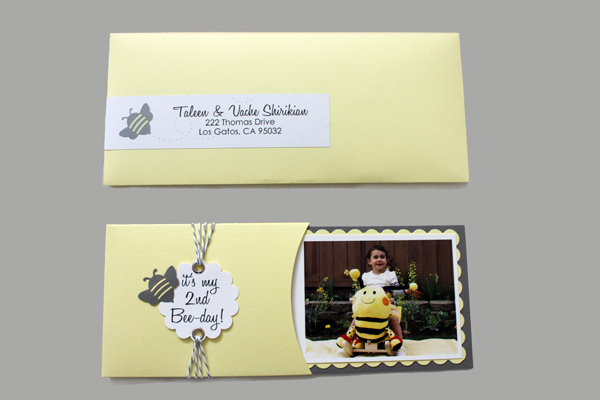 Lastly, I again used a bumble bee and lady bug punch to create the embellishment on the invitation. And voilà! You are a Mom, that every daughter would wish for. how did you make the pocket sleeve? did you purchase it or make it on your own? would love to know! thanks!